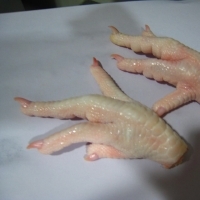 We have high quality chicken paws. Please contact us for more details. Brazilian originFrozen Chicken Feet, Chicken Paws, and Mid-joint Wings. Short on time? Let chicken-paw sellers contact you. A & R Gestion De Mercadeo Internacional S.A.S. 100% cleaned properly and well dressed. No bruises . No blood. No bad smell . No feathers . No broken bones. Stored in 5 boxes or 10 boxes height kept at -18 ° C. Transported in an insulated container and cold generating equipment to the final destination . No Keratin feet larger than 2 cm and tolerance of up to 5% smaller than 2 cm. No feet fractures/exposed with a tolerance of up 3%. Stored in five (5) boxes or ten (10) boxes height. Kept at -18°C. Agri Solutions Investments Pty Ltd.
Dear Valued Buyer, We are one of the leading producers and exporters of Chicken feet, Paws, whole chicken, breast, drum stickand other food and breverages products. Our products has great quality, and we distribute at competitive world market prices. If you are sourcing for this product, kindly revert back to us with an e-mail so that our sales department can get back to you with product details, prices, packaging,available quantity,delivery time and payment terms. We look forward establishing a long term business relationship with your esteemed company / organization. 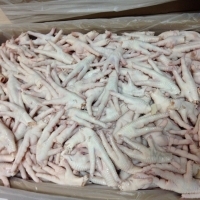 Sydney Trading Group Pty Ltd.
Mzanzi Anglovaal Tradings (Pty) Ltd.
Chicken feet and whole frozen chickens from South Africa Whole Frozen Chicken No sports, Pure clean, 18 .0C, No Smell Quantity Per Load : 1 X 40' Container ( 1866 Boxes / Each Box Weight 15KG ) = 27990 KG ( Approx. 28MT) 3- Minimum order : 2 containers 2x40 FT Type: Whole Chicken. ( it's only whole chicken ). Weight: 900 GMS TO 2000 GMS Origin: South Africa Destination: ( Any world Safe port Non US Sanction Ports ). Validation : 24 months 1. Origin: South Africa 3. Packing: Standard Export Carton: 10kg 15 and 25KG cartons with buyers label 4. 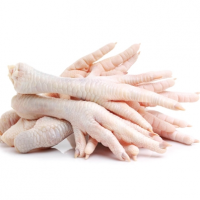 Weight per piece: 35~~45g for chicken feet and 900 to 2000 grams for whole frozen chicken. 5. 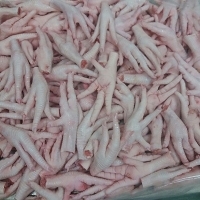 Quantity: 3000-7000 MT per month Specification Chicken Feet: Frozen chicken feet (grade A), pure white Feather off Yellow outer skin off Clean & fresh Length: 12-15cm Outer hard nail on No bruise No black pad or Ammonia burns No any bad smell No extravagated blood The moisture content is less than 5% Chicken Paw Item:A grade, -18 C Chicken Paw Specification:No bruise,No broken bone,No black pad or ammonia burns. Size:30- 35 gram ( ~29 per kg) Capacity:1000+mt per month Wing Tips Specification:No bruise,No broken bone,No black pad or ammonia burns. Our Chicken are specially hand Slaughtered accordingly to Islamic requirements. The Halal Process of our are slaughtered by Muslims individually by hand, in accordance with Halal guidelines. Our facility maintains a strict adherence with all human and animal treatment and slaughter requirements, including cut accuracy, direction to Qiblah, and a lengthy bleed time. Our Poultry Products are produced using: Cage-free, free-roaming Chickens Fed a Vegetarian Diet With No Hormones or Antibiotics Cared for and Handled Humanely Slaughtered Individually by Hand by Muslims With Proper Qiblah Direction Lengthy Bleed Time No Artificial Colors or Preservatives The result is a high-quality, all-natural, wholesome and good-tasting bird.